It is important that you do something. Unfortunately, too many landlords do nothing, hoping and praying the rent will show up soon, but absolutely sure that it won’t. 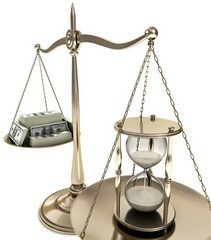 In order to get the rent on time consistently, you have to take action in your own behalf consistently. Chances are the tenant did not pay the rent on time because he or she didn’t have the money. But, remember, somebody got paid. Maybe it was the phone company, the doctor, the electric company, the car payment, or the credit card bill, but it wasn’t you. The tenant paid the person who was going to bug them the most. It’s probably never happened to you, but there have been a couple of months in my life when I didn’t have enough money to pay everybody. Who did I choose not to pay? The bill where they wouldn’t call me about it and where it wouldn’t go on my credit report. When a tenant decides who not to pay, the landlord often pops right to the top of the list. After all, most of the time the landlord won’t even call, and the late payment doesn’t appear on a credit report. So what do you do when the rent is late? 1. File an eviction. That often gets their attention and lets them know that you think the rent is more important than any other bill. But it also costs you money. If your rental agreement is worded properly, you can charge them for any eviction proceedings you have to file. Take it out of their security deposit. 2. Get them to agree to a payment schedule. Call to ask where the rent is. They will tell you they can have it in, say, a week. Get them to promise to have it by then or sign an agreement to pay it late. Add on the late fee. 3. Get them to sign a promissory note. When they do that, the rent is paid. You have accepted a note in place of a check (which, incidentally, is also a note). That means if they don’t pay the promissory note, you can’t evict for nonpayment of rent. You’d have to sue. The advantage is that the debt stops having anything to do with rent, and falls outside the realm of the Landlord-Tenant Law. That means you can sue them for it in small claims court and, presumably, get a judgment and writ of execution to attach any assets they own for the amount due. 4. Get them to borrow the money from someone else. You didn’t buy investment property to be a bank. You are not in the business of loaning money. Make them get the money from someone besides you. There are relatives, friends, loan sharks, cash advances on credit cards, they can sell something . . . anything besides not paying the rent. Tenants may not know you care if the rent is late unless you make it crystal clear to them. By jumping right on late rent payments, you not only get the rent, but you make them put you at the top of the list for bill payments, as well. See Robert Cain’s feature, The Advantages of Application Fees.